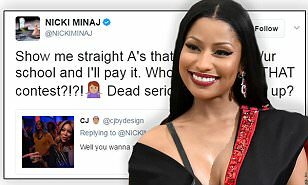 This is probably not the first time Nicki has been adding value to the lives of many. Some months ago, he offer to pay the tuition fees of those who couldn't afford to pay and she did kept to her promise. The Ellen DeGeneres Show she told YouTube sensations Sophia Grace and Rosie to stay in school, “Music is beautiful, but I want you to stay in school, OK? Put your books first and singing second. 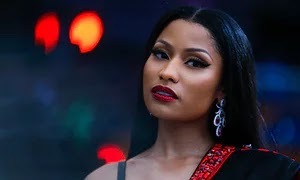 From all indications, you can easily tell that nicki loves reaching out to those in need and she has recently reached out to an impoverished Indian village. All thanks goes to her because with her help, this people now have access to potable water. She shared a video on her Instagram handle of one of the wells that was built using her money and captioned : 'This is the kind of thing that makes me feel the most proud.